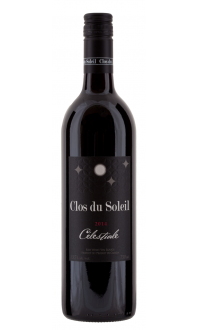 Signature is Clos du Soleil’s flagship Bordeaux-style blend of Cabernet Sauvignon, Merlot, Cabernet Franc and Petit Verdot, produced by hand and aged for 17 months in French oak barrels. The 2013 vintage, the product of a year of ideal growing conditions, is a standout example of this iconic wine. Nose: The taster is immediately enveloped in the dense and layered perfumes of this wine, with notes of cedar, fresh blackberry and cassis, and a hint of cracked pepper.. 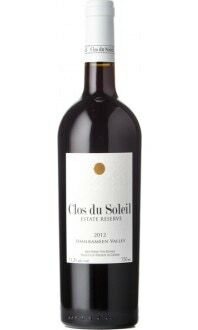 Mouth: On the palate the wine bursts with ripe fruit flavours - blackberry, raspberry and red currant - expressed through an elegant, mouth-filling structure and soft, round tannins. Enjoyable in its youth, the fine tannins and beautiful balance of this wine ensure its ability to age for well over a decade. Recommended food pairings: Pair the Signature boldly, steak au poivre, beef wellington, Alberta grass-fed bison served with spring onions and a bacon sabayon, or try an herb crusted grilled tenderloin in a red-wine reduction. It's juicy and thick, love the texture. I managed to get free shipping too which turned out to be a really great deal for me overall.